After rushing for 3,321 yards, including 1,362 in his senior season, the Auburn University stand-out running back was drafted in the second round of the 2010 draft by the Houston Texans. Tate suffered a broken ankle in his first preseason appearance and missed the 2010 season. 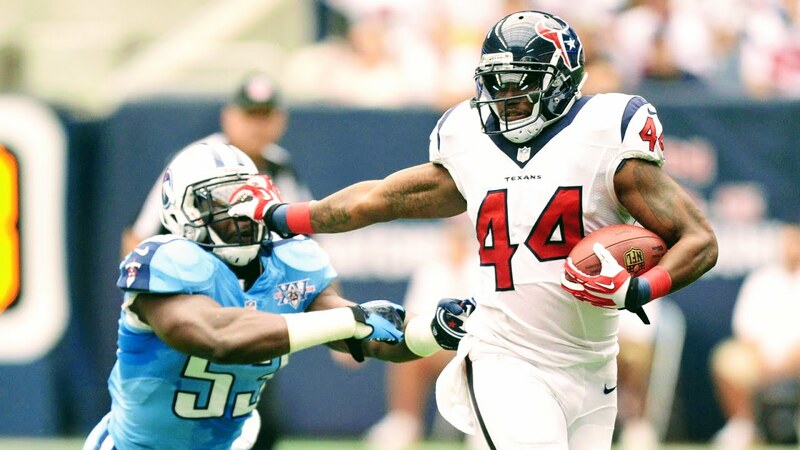 He returned to spend three seasons with the Texans, rushing for 942 yards in 2011 and 771 yards in 2013. In 2014, Tate signed a two-year, $6.2 million contract with the Cleveland Browns. He suffered a knee sprain in the first game of the regular season, causing him to bounce around with the Vikings and the Steelers. In 2017, Tate played in the inaugural season of The Spring League. In 2018, he will suit up once again in The Spring League to prove to scouts he still has production left in his tank.